CLEVELAND – Kyle Hatch is an All-American. The former Warsaw wrestling star earned that honor with his performance Friday during the first day of the NCAA Division III National Tourney. 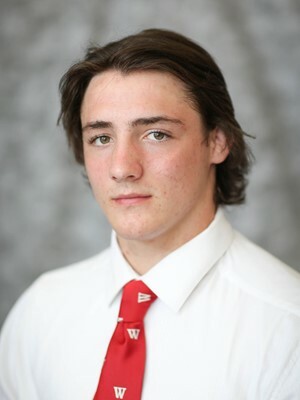 Hatch, a Wabash College freshman, went 2-1 to assure himself of All-American accolades. Hatch, who was the No. 7 seed at 157 entering the two-day tournament, opened action Friday by losing by fall in 5:51 in the Championship Round. He then responded with a win by fall in 41 seconds and a 5-3 victory by decision in the consolation round. Hatch placed third at the State Finals at 152 following his senior season at WCHS in 2017. He posted a 50-1 mark as a senior for the Tigers, setting the program’s single-season record for victories. Hatch, who holds the WCHS career record for both wins and pins, was seventh at state as a sophomore at 120 and eighth as a freshman at 106. Hatch is scheduled to return to action today in the consolation bracket.